You're probably asking a lot of questions about Ant-Man. So, what does he do? Is he half-ant? Is he an Avenger? Is he funny but exciting, or exciting but with only a little comedy? And, most importantly, who does he fight? The list of Ant-Man villains is not really that long, so developing a main antagonist was going to provide a challenge for any director who jumped onto the project. But recent news suggests we now know exactly which baddie will be menacing Ant-Man onscreen next summer. JoBlo posted scads of rumors on their site recently, including the confirmation that Paul Rudd's Scott Lang is a thief who steals the Ant-Man tech from Michael Douglas' Hank Pym. Also among these spoilers was a thorough explanation as to who might darken Ant-Man's doorstep. That baddie would be Darren Cross. An evil industrialist in the vein of Sam Rockwell's Justin Hammer in Iron Man 2, Cross heads Cross Technological Industries, or CTE, a major biotech firm with possibly dirty ties. Given that Ant-Man has been described as a heist film of sorts, it seems likely that tech will be stolen from CTE at some point during this movie. Cross mutated into a giant beast at some point, becoming a more standard-issue brawny villain. But there's a chance they could borrow from his cousin William Cross, a former crooked CIA agent who became a cybernetic assassin named Crossfire. Yo, Imma let you finish, but I just gotta put on my nerd hat right now. One of the other CIA agents who foiled William Cross' double-agent schemes was Marc Spector, who turned out to be Moon Knight. 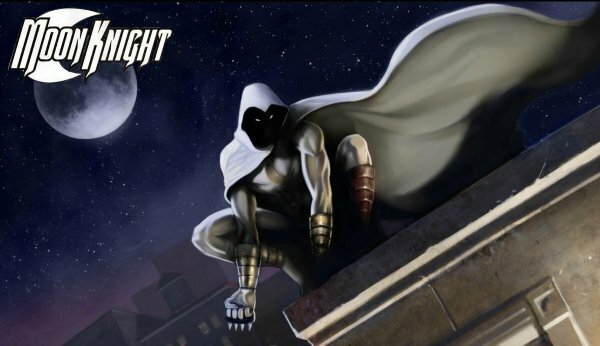 Given that one of the alleged reasons why Edgar Wright left the project was corporate synergy involving other characters, could Marvel and Wright have fought over the inclusion of Moon Knight? Moon Knight is a GREAT character, a schizophrenic superhero supernaturally resurrected to serve the Egyptian gods, while being cursed with severe split personality disorder. He could conceivably carry his own movie, but given the character's limited profile, he could also pop up in other films as well. Given that Patrick Wilson and Corey Stoll are playing "undisclosed roles," could either of them be stepping into the shoes of Khonshu's own avenger? JoBlo also reveals that the Ant-Man suit will be different than the one we've seen before, "much more elaborate" and compared to "Tron" with glowing red lights and a helmet that comes on and off on its own. The central ability that will drive the film is Lang's skill in communicating with ants through his helmet, which is both pretty neat in a practical way and also incredibly dorky. Find out how to split that difference when Ant-Man comes out July 17, 2015.